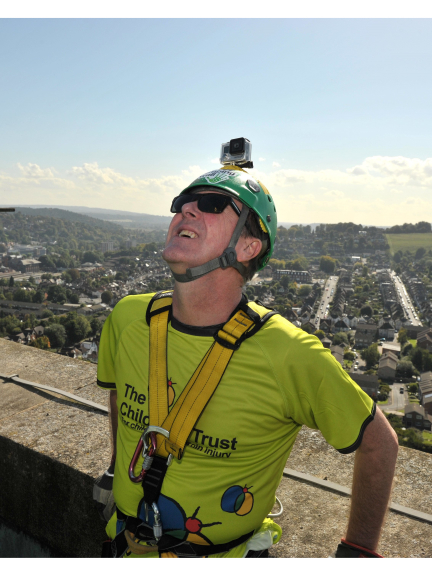 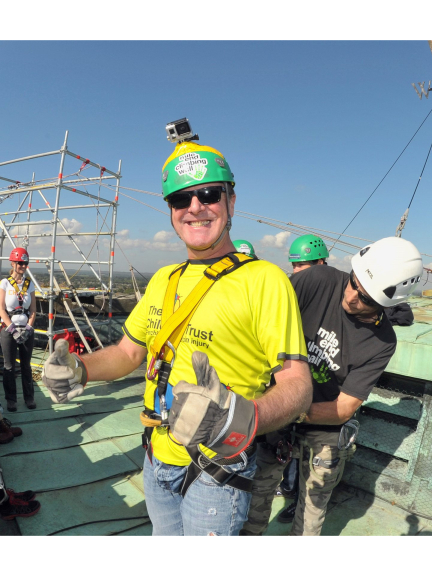 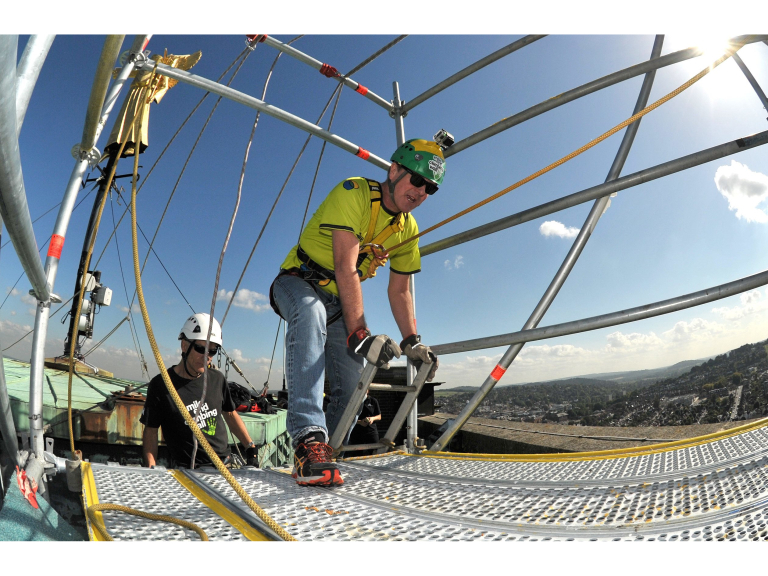 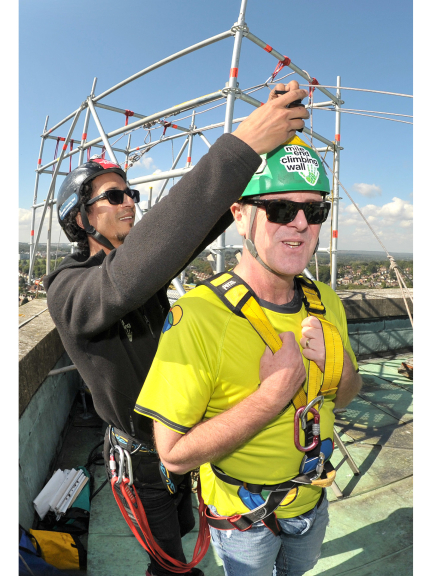 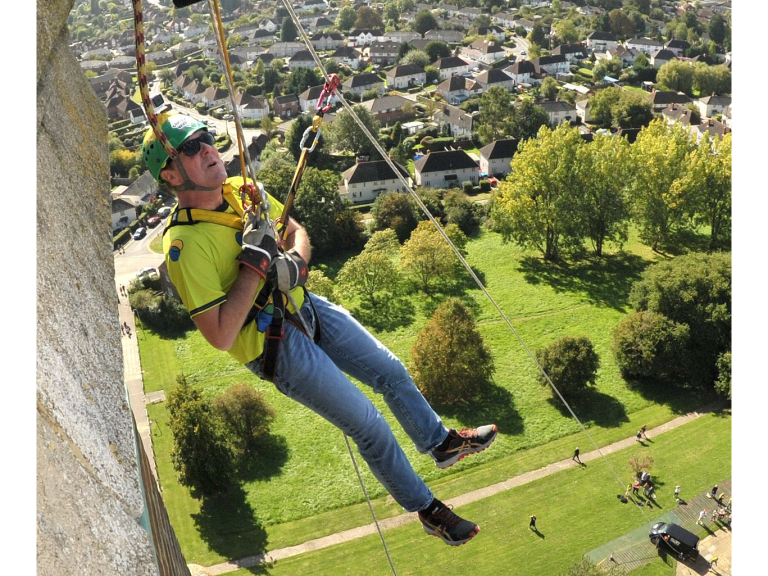 Former England cricketer and sports celebrity Phil Tufnell successfully completed a hair-raising challenge on Saturday 26th September, to abseil Guildford Cathedral, in aid of The Children’s Trust, the UK’s leading charity for children with brain injury. 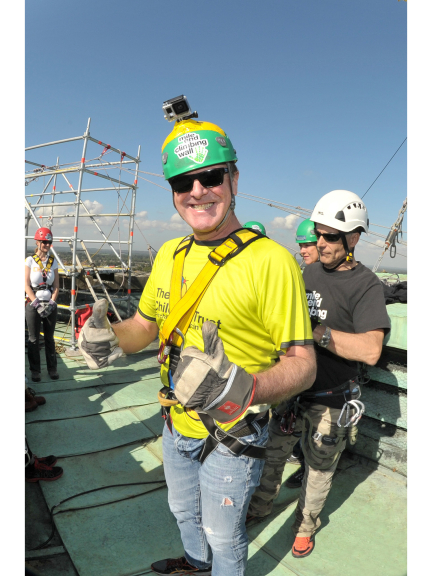 The 49-year-old sportsman revealed that, after his recent experience on television show, The Jump, it had given him a newly-acquired fear of heights, so he was determined to overcome this by taking part in the charity abseil. 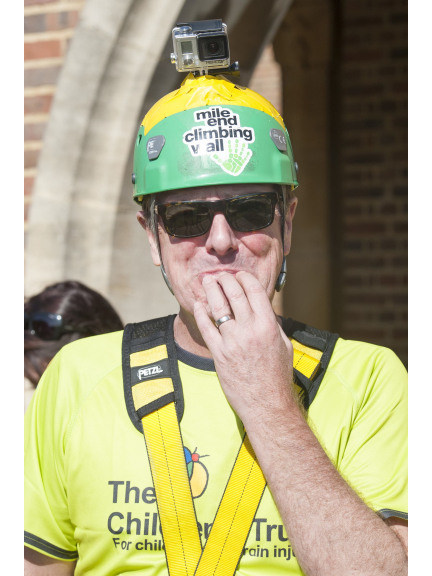 Phil was joined by his wife, Dawn, who had always wanted to do an abseil. 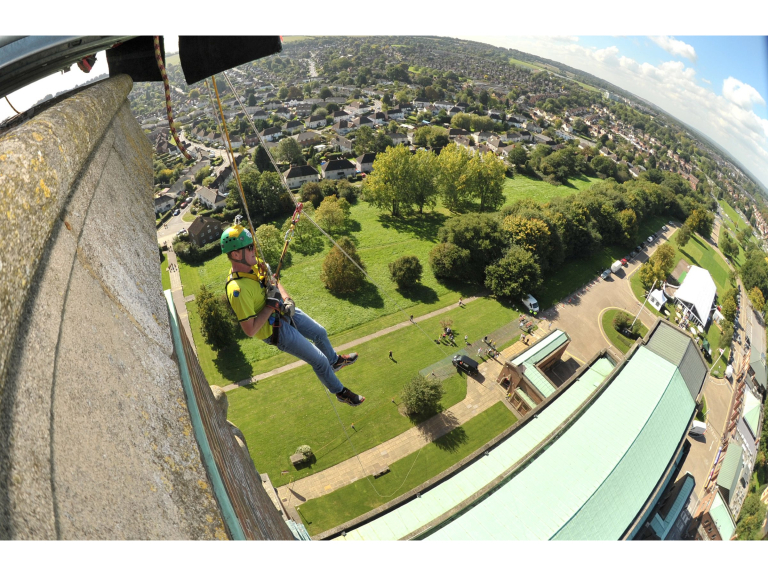 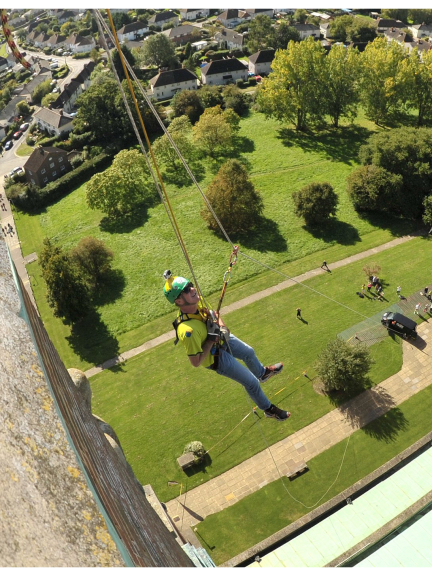 The first part of the challenge required Phil and Dawn to climb the 249 steps to reach the top of Guildford Cathedral’s tower, with its spectacular panoramic views of Guildford and surrounding areas, before abseiling the 160ft tower.